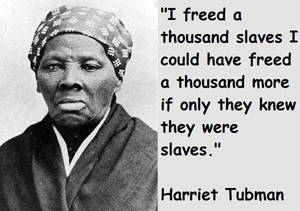 But she didn't free 1000 slaves. Historians are now certain that the number was no more than 70 and more likely 19. There is no evidence that a single one of these slaves was freed in Niagara Falls. The number of famous people who have visited Niagara Falls is legion. American presidents including George Washington and Abraham Lincoln, British royalty from King George V to Lady Di, literary figures such as Jack London, Oscar Wilde and Harriet Beecher Stowe, movie stars like Marilyn Monroe and many more. They came as most visitors do, out of curiosity and a desire to see one of the world’s greatest natural wonders for themselves. There is nothing to commemorate their visits, no plaques or markers, and any of the buildings where they may have stayed, had a meal or bought a souvenir were demolished under the city’s colossally misguided “Urban Renewal” program of the 1970s. It is something more than ironic then that City Council this week moved toward spending $262,000 to dedicate a park and erect a statue to a minor historical figure who by all accounts never set foot in Niagara Falls, Harriet Tubman. Under a resolution put forth the council Chairman Andrew Touma, the park and statue, along with the Underground Railroad Interpretive Center, will draw even more tourists to a city that sees no shortage of them to begin with. The city’s actual role in the Underground Railroad movement is a highly speculative one. A study conducted by the city’s Underground Railroad Commission in conjunction with Niagara University, was unable to identify a single site anywhere in the city with any undisputable connection to the Underground Railroad, which assisted escaped slaves from Southern states in getting to Canada or some other destination where they could live free. This is in stark contrast to Lewiston, where “station master” Rev. Joshua Tryon took many freedom seekers across the placid waters of the Niagara River in a boat he kept for that purpose, or Lockport, where Lyman Spaulding moved former slaves along the waters of the Erie Canal to Buffalo. The Thomas Root home in Pekin and McClew Farm in Burt have long been recognized as “safe houses,” where escapees spent hours or days awaiting passage into Canada. Both sites were awarded historic markers by the state long before the current Underground Railroad fad sprang into being a few years ago. Harriet Tubman’s connection to what is now the city of Niagara Falls is tenuous, at best. According to one short paragraph in her ghostwritten autobiography, she accompanied a relative and perhaps a few others on a train that crossed Suspension Bridge, near where the Whirlpool Bridge stands today. By her account, the train didn’t stop, but simply crossed the Niagara, causing agitation to one of the members of her party because of the height and the roar on the falls. There is no corroborating evidence to support her recollection, which was related to her ghostwriter, children’s book author Sarah Hopkins Bradford. The book itself makes great use of what critics have called “artistic license” and a “highly subjective point of view” and is, in fact, riddled with many provable factual errors. But this is Niagara Falls. And our city’s mayor, Paul Dyster, thinks spending $44 million on a new passenger train station to service the fewer than 100 riders who get off or get on a train each day here. By extension, spending $262,000 to dedicate an adjacent park to and erect a statue of a woman who may or may not have once passed through the vicinity on board a train may not seem all that outrageous after all.